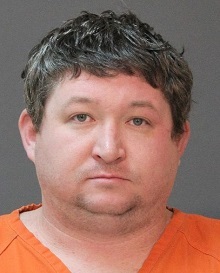 Calcasieu Parish Sheriff’s Office detectives arrested Corey B. Spikes, 33, 1313 Tulane Street, Lake Charles, after it was learned he violated a protective order issued by Judge Guy Bradberry on four different occasions. On December 23 deputies received a report from the victim in reference to Spikes having her cell phone service turned off, which is against the issued protective order. On January 7 deputies received the second report in reference to Spikes being present on the property of the victim’s family business the previous day. Later the same day deputies received another report in reference to Spikes attempting to contact the victim by a third party. On January 10 deputies received the fourth report in reference to Spikes following the victim around and then contacting her family member stating he knew her activities throughout day. After further investigation on January 18 detectives obtained 4 warrants, one for each separate report, signed by Judge Guy Bradberry for Spikes’ arrest. On January 20 Spikes was located and arrested and booked into the Calcasieu Correctional Center and charged with 4 counts of violation of a protective order. He was released the following day on a $40,000 bond with special conditions being he may have no contact with the victim and no criminal activity. CPSO Detective Lt. Michael Primeaux is the lead investigator on these cases.